Our product range includes a wide range of automotive spare parts, automotive cables, general automotive spare parts, core automotive electric cables and connecting rods general parts. We are a noteworthy manufacturer, trader, exporter and supplier of a superior quality Automotive Spare Parts. Our offered general part is manufactured using excellent quality raw material that is procured from trustworthy vendors of the market. Further, we test this general part against various parameters to ensure its flawlessness. 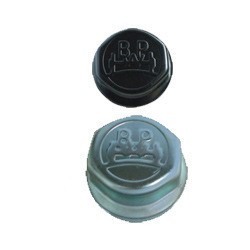 Our offered general part is highly admired in the global market due to its remarkable feature. 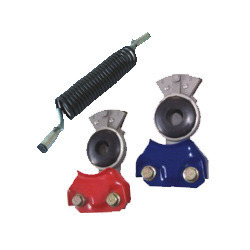 Provided part is widely used in automobile industry. Our clients can avail this from us at market leading prices. Backed by rich expertise in this domain, we have been capable of manufacturing, trading, exporting and supplying of a quality assured range of Automotive Cables. Our cable plays a vital role in the industry. Our offered cable is manufactured by using excellent quality raw material that we procured from the reliable vendors of the market and latest technology. A team of quality controllers examine this part on various parameters, before the final delivery. This is available in different specifications to our clients at reasonable prices. Our domain expertise has enabled us to come up with an excellent collection of General Automotive Spare Parts. 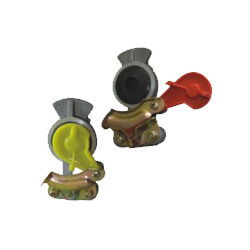 These parts are manufactured using high class raw material in compliance with international standards. These offered spare parts are available in various specifications that meet the requirements of the clients and ensure utmost satisfaction to the buyers all over the world. Our offered spare parts tested on different parameters to ensure its quality. These are available at nominal prices in the market. We are familiar as the well-known manufacturer, trader, exporter and supplier of a wide array of Core Automotive Electric Cables. Our offered cable helps in the effective functioning of the machine and highly required by the automobile industry. This cable is manufactured using top quality raw material and newest technology in line with set industry standards. Our quality controllers rigorously examined this cable on different parameters of quality in order to ensure its defect-free nature. We offer this cable in different specifications as per our client’s requirement. Leveraging on our experience, we are engaged in offering a high quality range of General Parts. Offered range is designed by our unit using superior quality raw material as per the set industry norms. T his product is highly admired for optimum performance, sturdy construction, simple operation and durability, thereby widely demanded in the market. Available in different specifications, we can also customize this range as per the specific needs of clients and offer at highly competitive price.